Workplace dentistry is coming to Cardiff, with onsite Services arriving in Cardiff Gate Business park later this month, continuing their oral health tour which started in mid-April 2015 in London, targeting some of the highest profile businesses in the country. 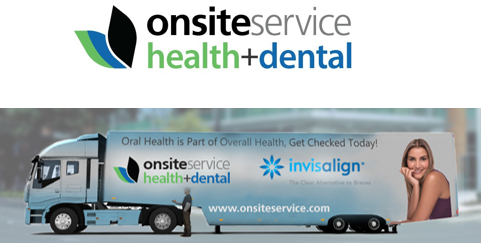 Onsite are organising all the tour logistics including the provision of a 53-foot transportable dental practice – whilst affiliated dental professionals will be providing free oral annual health checks, dental examinations, dental cleaning, assessment for the modern teeth straightening treatment Invisalign, as well as systemic health education. 39% of English adults to not regularly visit the dentist, according to the British Dental Health Foundation http://www.nationalsmilemonth.org/facts-figures/. Time and convenience appear to be the major factors affecting people’s decisions to get their teeth checked. Many working professionals are simply unable to take time out to routinely visit the dentist. To counter this, Onsite plans to provide education on the correlations between oral and general health problems to encourage a greater level of awareness of the importance of dental check-ups. The Founders of Onsite Dental have worked in this way to improve workforce health and productivity at companies in the US since1998, in Denmark since 2010 and the service was piloted with huge success in Ireland in 2014. The model has been proven and has been taken up by some of the world’s leading companies including Facebook, Sony, Yahoo and many other household names. 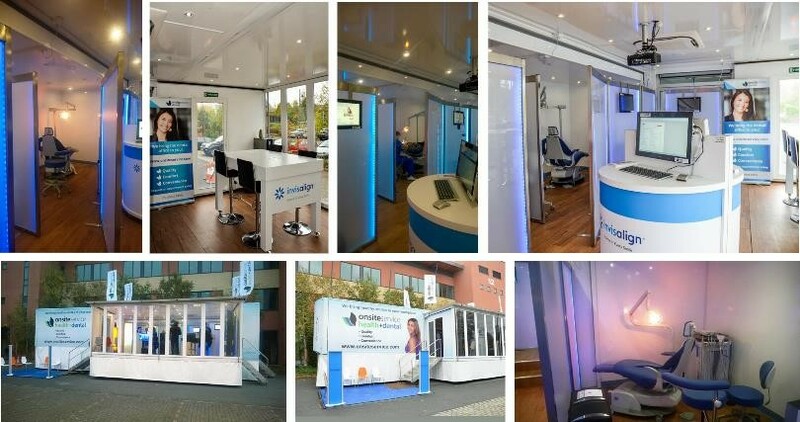 The touring dental practice is an ingenious construction which concertinas out from a 53 ft pantechnicon to become a three roomed dental practice – as well as providing space for a waiting room and educational area – which complies with all CQC dental regulations. It can be set up in a car park and plugged-and-plumbed-in overnight to be up and running within hours of arrival on site. The Onsite tour is also being backed by the British Dental Health Foundation.